If you have sustained a debilitating injury or illness that will prevent you from returning to work for some time, you have the right to pursue financial assistance through the Social Security Disability (SSD) insurance program. You may question the overall impact an attorney will have on the outcome of your case. However, should your claim be denied — and nearly 90 percent of all first-time applications are — a skilled lawyer can walk you through the appeals process and help you effectively demonstrate your right to receive benefits. At the law firm of Pulgini & Norton, LLP, our Boston attorneys have helped individuals throughout the Greater Boston area and elsewhere in Massachusetts recover SSD benefits for more than 40 years. We can answer your questions about SSD, guide you through the process and help you make an appeal if your original claim for benefits is denied. If you need assistance appealing a denied SSD claim or wish to learn more about your right to pursue SSD benefits, contact us to schedule an appointment. 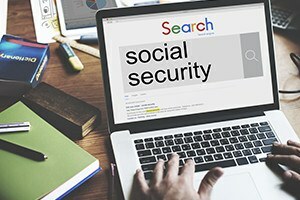 Our lawyers seek to help you present the best possible case to the Social Security Administration. We offer a free consultation to any prospective client wishing to learn more about Social Security Disability Insurance. If your injury or disability prevents you from working, contact us via e-mail to learn more about your options for pursuing Social Security Disability. Schedule an appointment by calling our Downtown Boston, Hyde Park or Braintree, Massachusetts, office locations toll free at 781-843-2200.